I have been working on goal setting for 2018 since November. 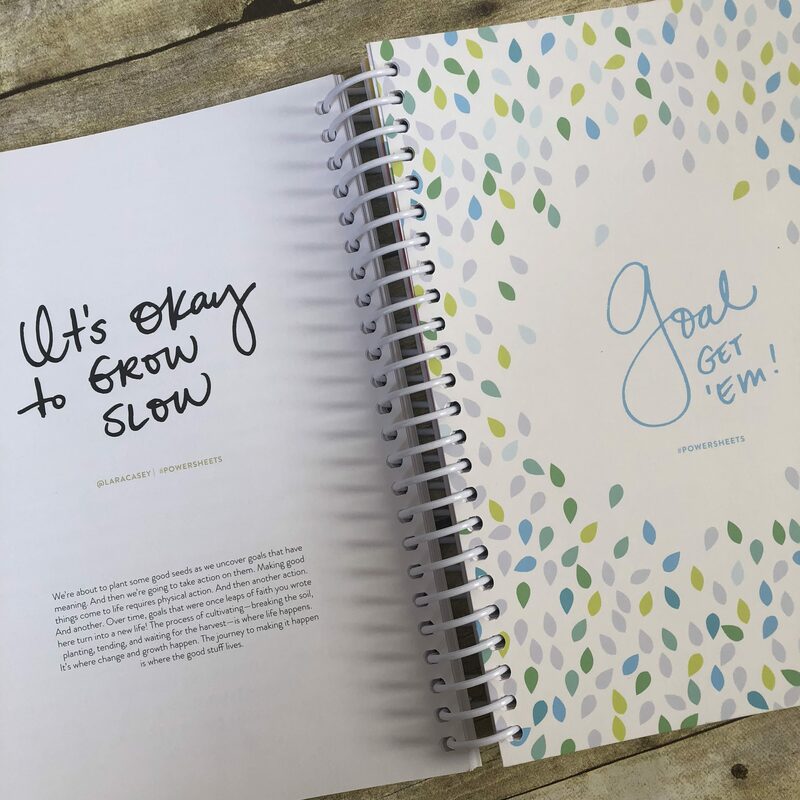 Last year, I was late to the game– once I decided I wanted to work on creating an action plan for setting and reaching my goals for 2017, the tool I wanted to use was sold out. And from there, I just could not make a decision on exactly what I wanted to do, so I just let it go. So when the end of the year rolled around, I knew I needed to get a jump on it early, and that’s what I did. 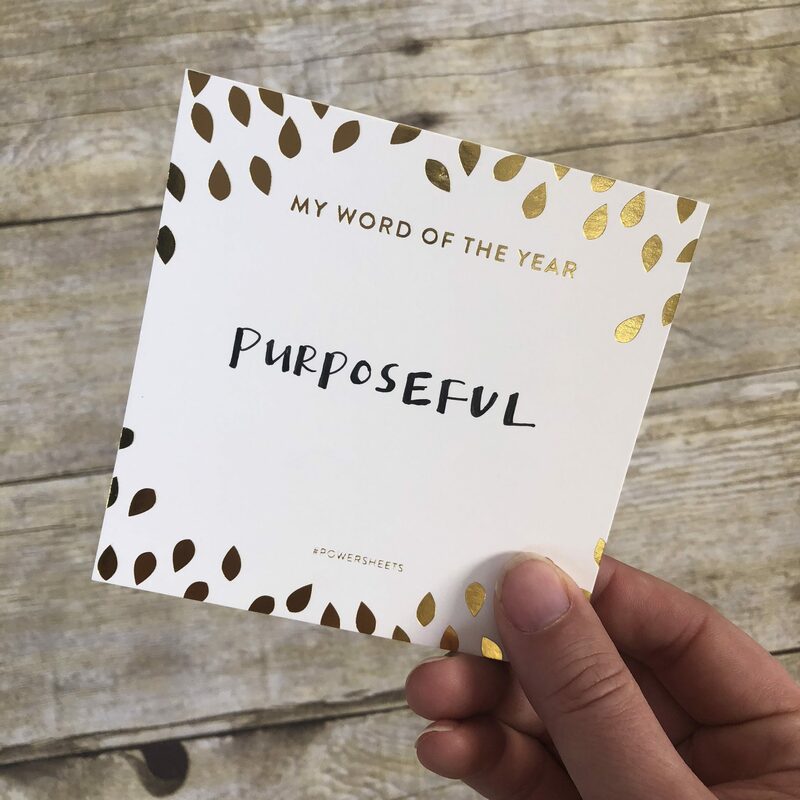 I knew I wanted to establish a word of the year even before I started my Lara Casey Power Sheets, but as I worked through her Cultivate What Matters Intentional Goal Planner, it was more and more important to me. 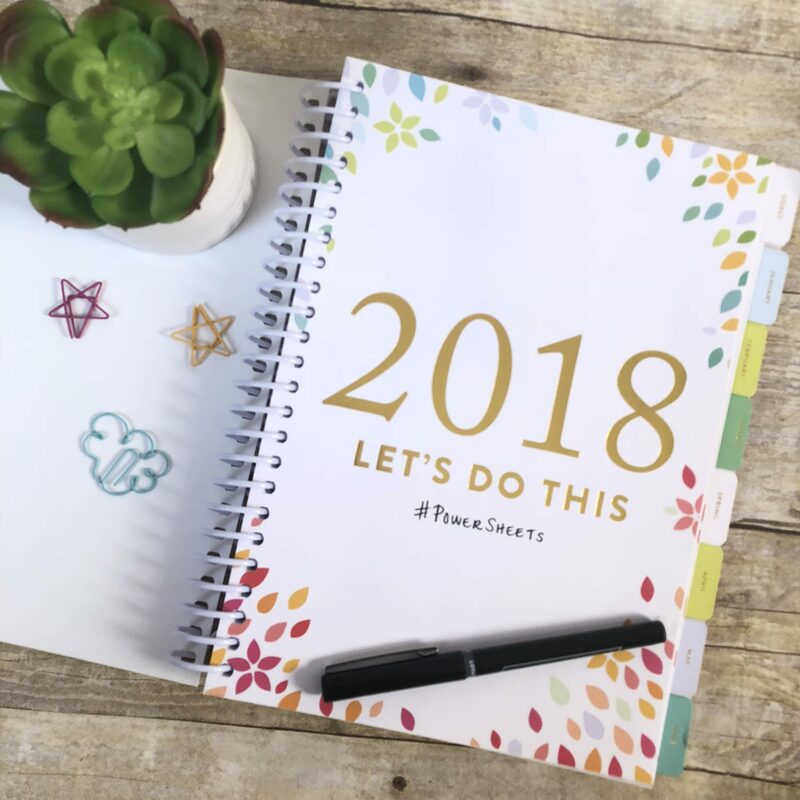 This is by no means an ad or a plug for Lara Casey, but her Power Sheets have transformed my goal planning strategy, and I don’t think there’s a single person on this earth that couldn’t benefit from working through them! 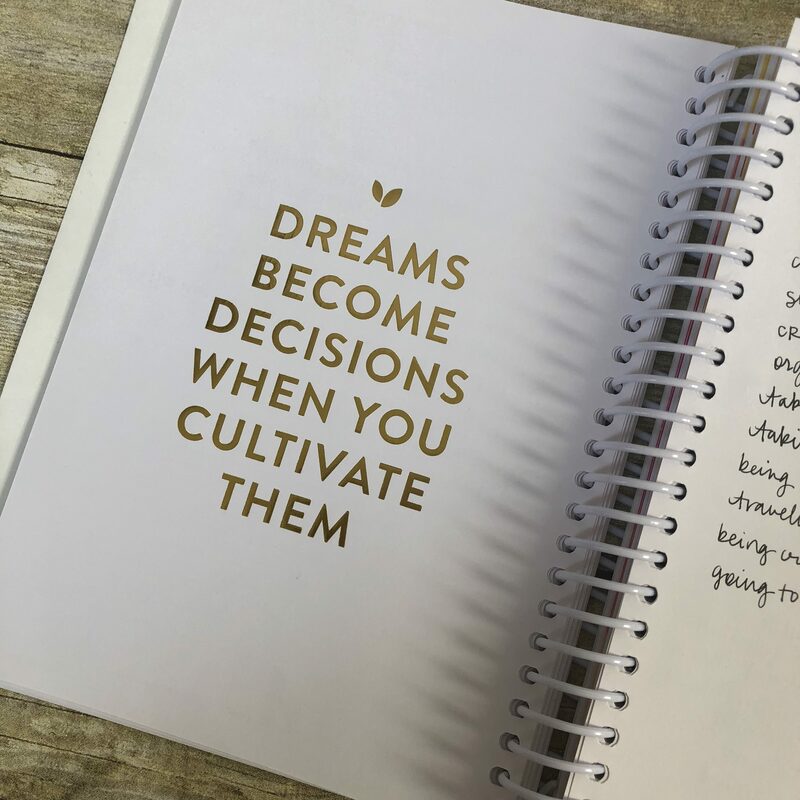 It’s not a regular calendar planner, it’s only for goal planning. 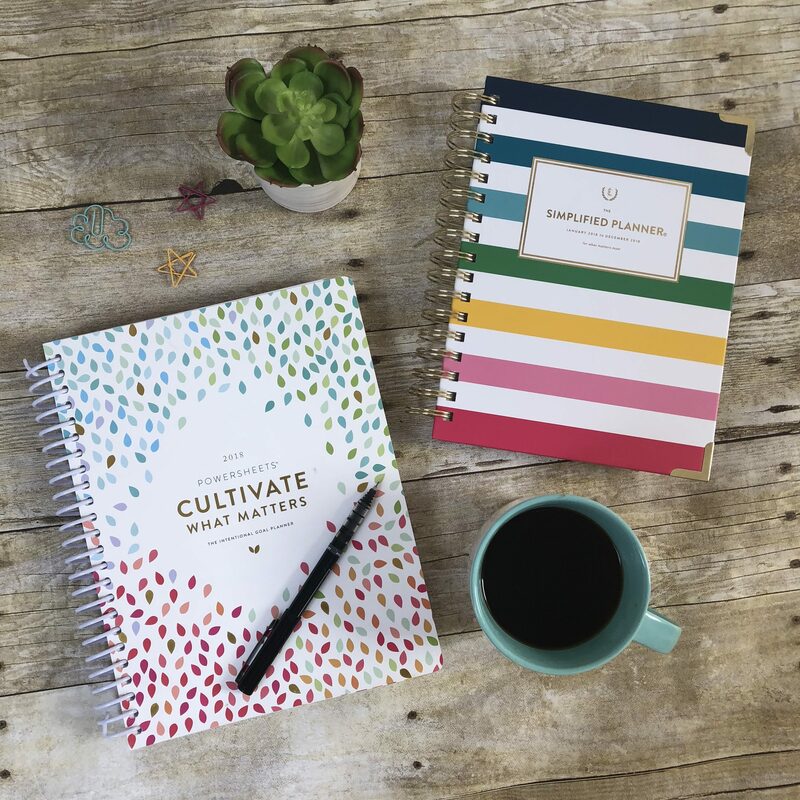 So you have to use it in conjunction with a traditional planner. I have used plum paper planners for years, but this year, Emily Ley’s Simplified Planner fit my needs much better. So with two amazing tools in hand, I got started. The pre-planning sections help you identify who you are, what you really want, and what your priorities are. From there, patterns begin to emerge, and you can pretty easily identify what your goals for the year ought to be. I love the process and have been able to easily incorporate both personal and professional goals in my planning. Over the course of 2017, I felt like I was doing SO MUCH, but I was doing everything at about 50%. I was working constantly but always distracted. I was doing a lot with the kids and family, but always checking my phone. I was everywhere, but never 100% present anywhere! 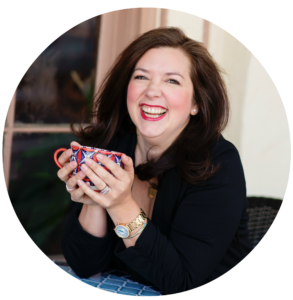 When I was at Business Boutique in November, Christy Wright spoke about the myth of a work-life balance. “There is no such thing,” she said. No such thing as 50-50 work and home, or any ratio. What she suggested that we strive for was being 100% present wherever you are. When you’re working, WORK. And knock out your tasks. And when you’re at home, be right there in the floor with your kids, or listening to them read, or talking to them about your day. But give them 100% of your attention. But “present” wasn’t quite enough. It’s not quite enough for me to just be present in these beautiful, ordinary moments throughout the year. But to also give them purpose. I often complain that there are just not enough hours in the day to get it all done. But there are. I get 24 hours in every day just like you, and just like every other person on earth. But what is key is to be purposeful about each of those hours. To use them in meaningful ways to help achieve each of my goals for the upcoming year. We have so many plans, and so many goals, and so many things we want to do, that I want purpose to be at the forefront of my mind, and to try to not waste a single moment if I can help it. One of my main goals this year is to spend more intentional time with the kids. 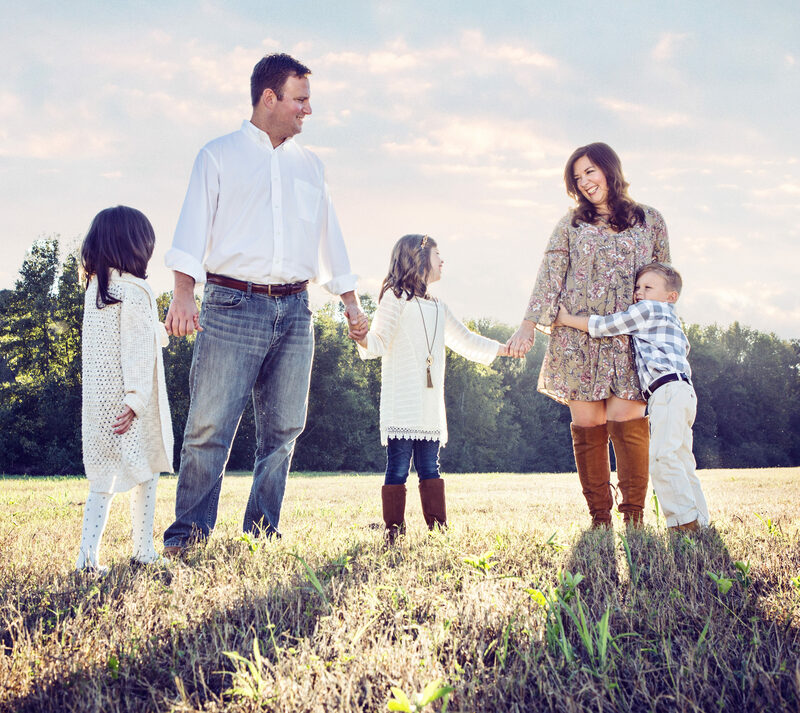 So when I’m spending time with them, my purpose is to give all of my attention right to them, create fun experiences, and long-lasting memories, so they know and remember that mom was right there with them, not just half-involved and distracted with other things. I want to extend that same idea into almost everything I do this year- personal and professional- and everything in between. My hope is that it makes me more productive and more effective in reaching the goals I’ve set for myself this year. Now, I am human of course, and I’m not saying that I won’t scroll mindlessly through Instagram or waste time in any other numerous fashions during the year, but my goal is for progress not perfection. I really want to focus on putting meaning and purpose into the time I spend working, the time I spend with my family, and the time I spend doing the things I love, and cultivating important relationships in my life. As much as I want to say I’m not going to do this or not going to do that this year, it’s just not in my nature to do less. I am choosing to make this a year of more! More listening, more laughs. More walks, more focus! More work, and more play. More growth, more fun, more games, more learning. More hugs, more love, more positivity! More risks, more creating, more friendships. More simplicity and more organization. More efficiency, more engagement, more light, more faith. More celebration! More reflection. More gratitude. MORE PURPOSE. 2018 will be my purposeful year.